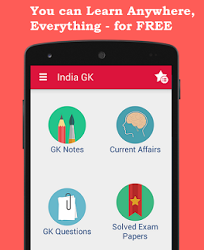 3, 4 March 2016 Current Affairs MCQs, Quiz, Questions: Current Affairs for March 2016, Daily Multiple Choice Questions (MCQs) for India GK, World GK and current affairs with Collection of daily objective type Question by www.Indiagk.net based on General Knowledge (GK) and General Science (GS) Questions for UPSC, State PSC, SSC, Police exam, Railway exam, SBI, Bank PO, IBPC, SSC, LDC, UDC, Army, Airforce, Navy, Coast Guard, Bank Clerk, TET and all entrance examination with current affairs News, Multiple Choice Questions (MCQs) available on Website www.IndiaGK.net and Android Apps with daily updates:. Vineet Taneja, who resigns on 2nd March 2016, was CEO of which company ? Explanation: Micromax CEO Vineet Taneja resigns as the company finds it difficult to battle with Chinese smartphone makers. Before joining Micromax, Taneja was Samsung India’s mobile and IT business chief. According to IDC, Micromax is the second largest smartphone brand with 16.7 percent market share. Martin Crowe who dies of Cancer on 3rd March 2016 was former captain of which team ? Explanation: Former New Zealand Cricket Captain, Martin Crowe Dies of Cancer at Age 53. Martin Crowe died in Auckland on 3rd March 2016. Martin Crowe, a cricketer of prodigious talent who made batting appear effortless while secretly struggling with the burden of being a world-class player in otherwise modest New Zealand teams. He scored 5,444 runs, including 17 centuries, in 77 Tests from 1982-95. NHAI ties up with which institute on 3rd March for skill development of its technical and managerial manpower? Explanation: National Highway Authority of India (NHAI) has taken a significant step in ensuring development of management competencies of its technical and managerial manpower, with a tie up with Indian School of Business (ISB), Hyderabad. The programme on “Leadership Programme in Infrastructure Management” in ISB aims at developing skills and competencies relating to multiple disciplines : Strategic Planning, Finance, Economics, Law, Social and Environmental issues, Public Policy etc. in Infrastructure Management. Former Lok Sabha Speaker PASangma dies on 4th March 2016. He was a co-founder of which Party ? Explanation: Former Lok Sabha Speaker Purno Agitok Sangma died of a heart attack on 4th March 2016. He was 68. PA Sangma (born 1 September 1947 and died 4th March 2016) was politician who was Speaker of Lok Sabha from 1996 to 1998 and Chief Minister of Meghalaya from 1988 to 1990. He was a co-founder of the Nationalist Congress Party (NCP) and remained a member of the Lok Sabha for eight terms, i.e. 6th, 7th, 8th, 10th, 11th, 12th, 13th, and 14th Lok Sabha.